In the last quarter of a century, legalized gambling has become commonplace worldwide, as many national or local jurisdictions look to gambling to supply an additional revenue source. This has led to a proliferation of casinos worldwide, many of them being large resort-style casinos where you can enjoy playing at roulette tables for real money. Gambling law changes from country to country, and in certain cases in jurisdictions within a country, so legalized casinos are not always an option although it is safe to say many players will find an outlet for their gaming needs, whether legal or illegal. Online casinos are a popular source for many, with many international companies offering casinos globally, although legalities surrounding these games are tricky also in some areas. Here you’ll find a guide to casino gambling in Canada, the UK, Australia, New Zealand and South Africa. This includes a look at the legal situation surrounding online casino gambling within each country and the type of casino software you’ll be able to enjoy to play roulette online. Then I take a look at each country, breaking each down into state/province/city or town and looking at the major casinos. 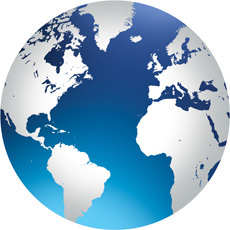 Governments around the world have to consider many factors when it comes to online gambling. Firstly they will take a look at the moral aspect of gaming – many within certain countries will be opposed to any forms of gambling, and governments will consider the views of this section of society, whether they agree with the viewpoint or as a way of harnessing votes. Taxation is another major factor. 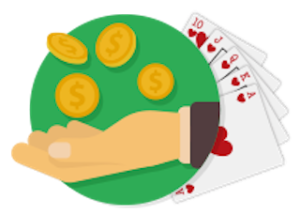 There is a large revenue stream associated with online gambling, so it would be beneficial for countries to ensure that this money stays within the local economy. However, large gambling companies are pulling in another direction. They’ll want to offer their games in as many countries as possible, and ensure that as much of the revenue stream as possible goes to them. 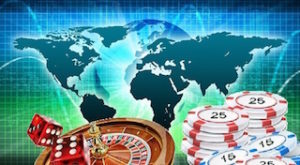 This has led to many of the large gambling sites relocating to countries or territories which offer favorable deals in terms of taxation for gaming companies, offering their games worldwide. Governments around the world have differing ways of controlling online casino use. The US, as an example, blocks transactions from financial institutions to gambling sites via Unlawful Internet Gambling Enforcement Act of 2006. As well as making it difficult for US customers, it has had a knock-on effect for Canadians. There is a restriction on what Australian casino sites can offer within the country and there are no casino sites from within New Zealand, leading to players from both these countries migrating to international sites. Onlne casino gambling is banned in South Africa, both from within the country and outside. Many South Africans play at international sites, however, these sites being happy to cater for the players and it seems that individual players are not targeted at all. The United Kingdom has a very liberal approach, with players able to play at sites both within the UK and worldwide without restriction. The land-based casino scene has expanded immensely in recent years, especially since the 1970’s when casino gambling really began to capture the public’s imagination. This has led to many governments worldwide introducing the policy to commission casinos and this expansion is expected to continue in the coming years. The US accounts for around a half of all casino gambling revenue worldwide with Vegas contributing around 20% of this figure, Las Vegas known as the Entertainment Capital of the World. Las Vegas is famous for its strip where the most notable casinos are located. These include the MGM Grand, Caesars Palace, the Venetian and Bellagio’s. Macau in China is the location which has the biggest casino revenue of all, bringing in more money than the whole of Las Vegas. The Venetian, in Macao, is the largest casino in the world. Monte Carlo in Monaco is famous for its casino, known for catering for very high rollers, although strangely citizens of Monaco are forbidden from entering. In fiction, this casino is often frequented by James Bond and is often featured in films, including Oceans Twelve. Australia has casinos based in all of the states, with lavish sites in Sydney, Queensland, Melbourne and Western Australia. You’ll find just six casinos in New Zealand with sites in Dunedin, Christchurch, Auckland, Hamilton and two in Queenstown. The United Kingdom generally features smaller casinos dotted around the country, although you’ll find some larger venues in London. Canadian casino visitors can enjoy playing in and around Niagara Falls, as well as elsewhere in Ontario as well as Quebec, British Columbia, and Alberta and various sites nationwide. In South Africa, many of the larger casinos are based around the tourist industry, with big locations in Cape Town, Durban, Johannesburg and Sun City, with many smaller casinos available nationwide.